FF3D is effective for removing linear coherent noise trains that result from issues such as ground roll, propeller noise, or ship noise. 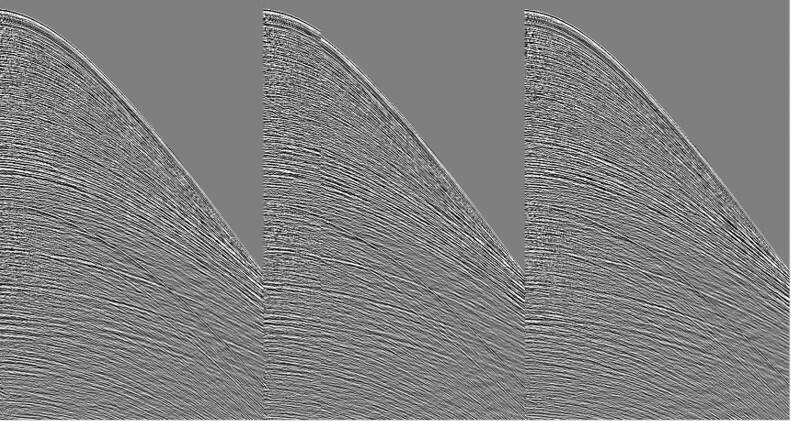 This 3D f-x domain fan filter attacks dipping events interpreted as nonsignal. Noise may be removed based on both frequency and velocity values. Interactive testing allows efficient verification of the effectiveness of the removal parameters. 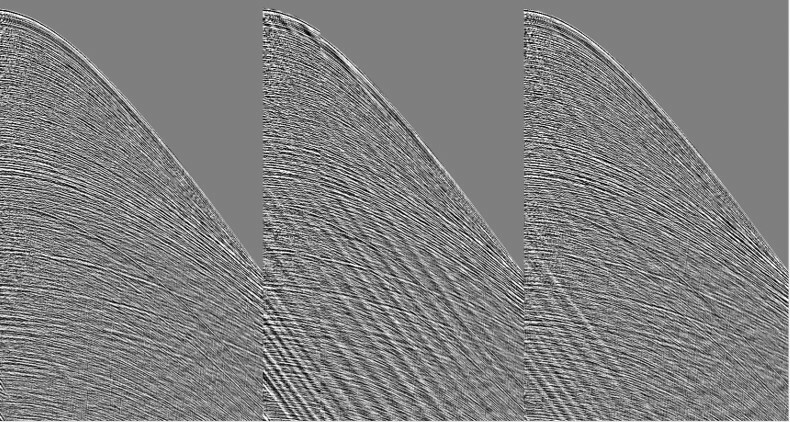 The removal of the specified noise patterns has an incremental effect that collectively results in a cleaner, higher resolution section that is more easily interpreted. MSGBC: Where is the next success?